Phentermine is arguably the most famous weight loss drug in the world, but in many countries, such as the USA, it cannot be obtained without a doctor’s prescription and, here in the UK, it cannot be legally obtained at all. The fact that Phentermine has such a good reputation for getting results is a big problem because many dieters see it as a wonder-pill that will make all their fat disappear and are often so convinced of this they are willing to go online and buy the drug illegally. This is very poor thinking because it is possible that the shipment of Phentermine will be intercepted by the authorities. It is equally likely the pills may not be what they are claimed to be and could contain dangerous ingredients. Even if the consignment of pills made it through British customs checks and were the real deal, Phentermine is designed to be used under a doctors supervision. There is a reason for this and anyone using the pills without a doctor’s guidance could be endangering their health. 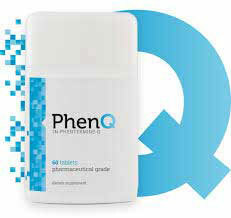 Phentermine was first introduced in the 1950’s – it was prescribed to obese patients to help them curb their appetite. It has lasted pretty much unchanged for over half a century and remains one of the most sought after diet pills in many countries. 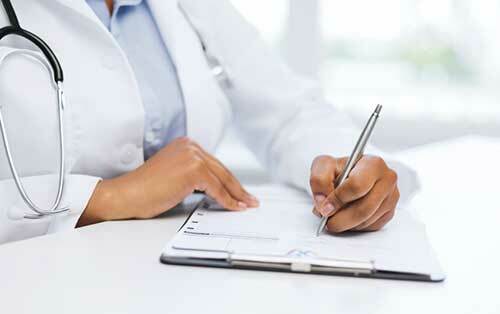 Phentermine has it’s negatives – it’s chemical based, not available to all and has one or two side effects. Perhaps it’s biggest negative is the emergence of products such as PhenQ that can suppress appetite equally as well and without the propensity for side effects. 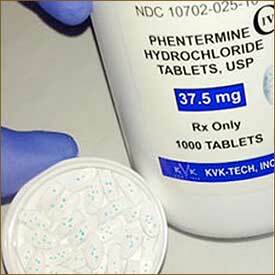 On a chemical level, Phentermine is very similar to amphetamine and can be every bit as addictive. This alone is reason enough to avoid the drug, and doctors who prescribe it only do so for short periods of time. Phentermine is also known to cause a number of nasty side effects, so doctors in the USA are only permitted to prescribe it to patients who are seriously overweight. When people have reached such a level of obesity it can place their health in jeopardy so, in cases like this, Phentermine could be seen as the lesser of two evils. However, the fact that regulatory bodies in the UK are unwilling to approve the drug’s use at all suggests it is not deemed to be worth the risk..
Phentermine is an appetite suppressant. Pills that work in this way help dieters to avoid being plagued by feelings of hunger and enable them to be satisfied with lesser quantities of food. If the amount of calories consumed each day is insufficient to meet the body’s energy requirements it will be forced to start burning its fat as an alternative supply of fuel. Appetite suppression can be achieved in a number of different ways, in the case of Phentermine it is achieved by manipulating certain hormones. Once it is absorbed into the body the drug stimulates the adrenal gland, causing it to excrete extra norepinephrine, serotonin and dopamine. This puts the body into a form of survival mode that is commonly called flight or fight. This condition would normally only occur during periods of extreme danger and several changes result. One of them is appetite suppression. Although putting the body into such a state can be a good way to suppress the appetite, it has to be remembered the body would not normally retain such a condition for overly prolonged periods of time. So the wisdom of maintaining flight or fight for an extended period is somewhat questionable. The fact that doctors in some countries have the option of prescribing Phentermine to patients that have reached a certain level of obesity could be seen as proof of the drug’s abilities, but it is highly overrated. It is an appetite suppressant. Nothing more. 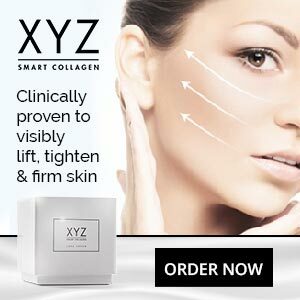 The drug does not directly influence or improve the fat burning process, nor does it provide dieters with any other support such as fat blocking, mood enhancement, or extra energy. Fighting their hunger is just one of many battles dieters have to deal with on a daily basis. Surviving on fewer calories per day can cause feelings of fatigue and may also have a negative effect on the mood. 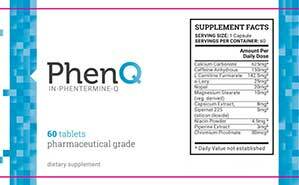 Many of today’s top diet supplement, PhenQ is a good example, are designed to provide dieters with a number of different benefits to ease them along the road to weight loss. That extra support can take a lot of the sting out of dieting, and nutritional experts agree a multifaceted approach to weight loss offers the best chance of good results. 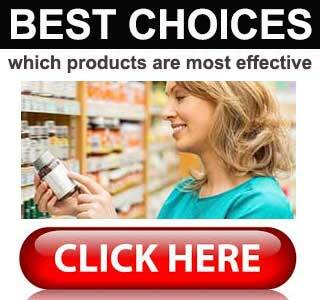 Phentermine is an appetite suppressant that works. There is no denying that, but the drug’s reputation far exceeds its abilities and its use can lead to numerous side effects and/or addiction. There is no reason for anyone to risk any of these dangers when safer options more efficient options are available.